In the last post, I did not find any decrease in image sharpness when having stabilization turned on while on a tripod. That was under perfectly still conditions though, using the most stable tripod I have and EFCS. Here, I want to go to the opposite end of the spectrum, and test to see if there is a benefit to having IBIS on under poor conditions. I am going to manufacture poor conditions in the lab by setting a Manfrotto 190X oscillating with some weight on it. The weight is there to provide inertia to slow down the frequency of oscillation and make said oscillation last for a long time. I chose the tripod with a similar aim. The 190X has one of the lowest damping coefficients I have seen and is happy to oscillate for many seconds (provided enough inertial mass). The setup is shown below. A Fuji X-H1 sits on top of the tripod, pointed towards and MTFmapper test target. The position of the weights governs the amount of inertial mass, and allows me to change the frequency of oscillation. This is clearly much better. However, IBIS is perfectly cancelling the movement and so we are seeing the vertical edges becoming slightly softer than they were without any oscillation. These are 100% crops of a 24mp image though. 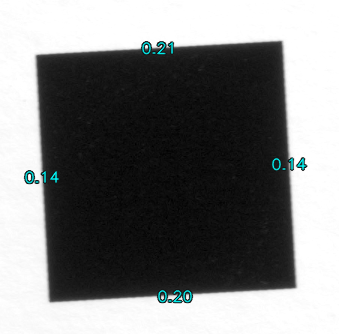 If you pulled the above image off of your camera, you would be hard pressed to label it as ‘soft’ and throw it out. Side by side with the original image though, subtle differences can be seen. So, we have two immediate takeaways. First, IBIS clearly is beneficial when the tripod is moving around enough to blur the image. Without IBIS, the image is too blurry to be usable. With IBIS, the image is sharp enough to be used for all but the most absurdly critical eye. Second, IBIS isn’t perfect. Don’t expect IBIS to fully make up for motion when the camera is on a tripod. The second thing I wanted to test in this post is the effectiveness of the IBIS system versus the frequency of oscillation. IBIS is a mechanical system. Moving the sensor back and forth at higher frequencies requires increasing amounts of force from the voice actuator coils driving the movement. There must be some upper limit to how fast IBIS can move the sensor. To test this, I varied the amount of inertial mass on the tripod, and thus the frequency it oscillated at. 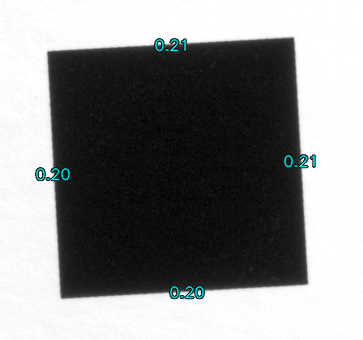 The results are shown below, with the horizontal MTF for five different trial images taken at each frequency. 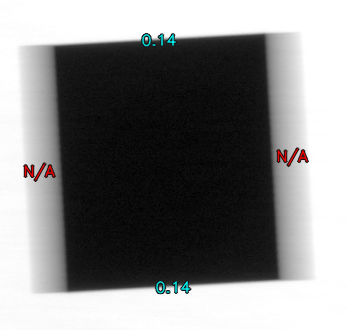 I did take measurements at the middle frequencies, but the images were out of focus and the data was useless. There isn’t any appreciable difference in the IBIS performance at the frequencies tested here. I don’t have the equipment available to test higher frequencies, so this test is only a partial success. We can say with confidence that the IBIS system works well up to 15 Hz or so, but don’t know the cutoff frequency at which IBIS starts to fail. 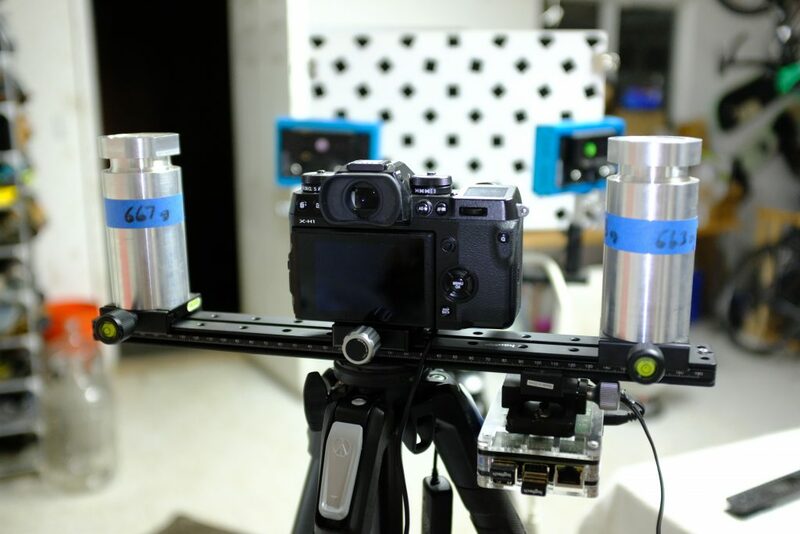 We would need a tripod with even less damping than the 190X or a system to mechanically drive the camera.